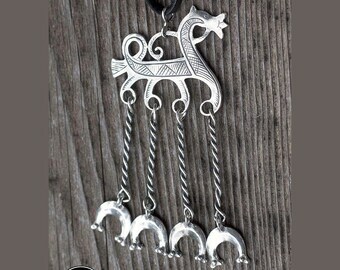 The original artifact was an Iron Age Prussian brooch; I have converted this replica into a pendant, 40mm (1⅝") Ø. The Old Prussians were a Baltic people, related to present-day Latvians and Lithuanians, who lived primarily in what is now the Kaliningrad district of Russia, formerly known as Königsberg. The Old Prussians were conquered by the Teutonic Order in the 13th century. 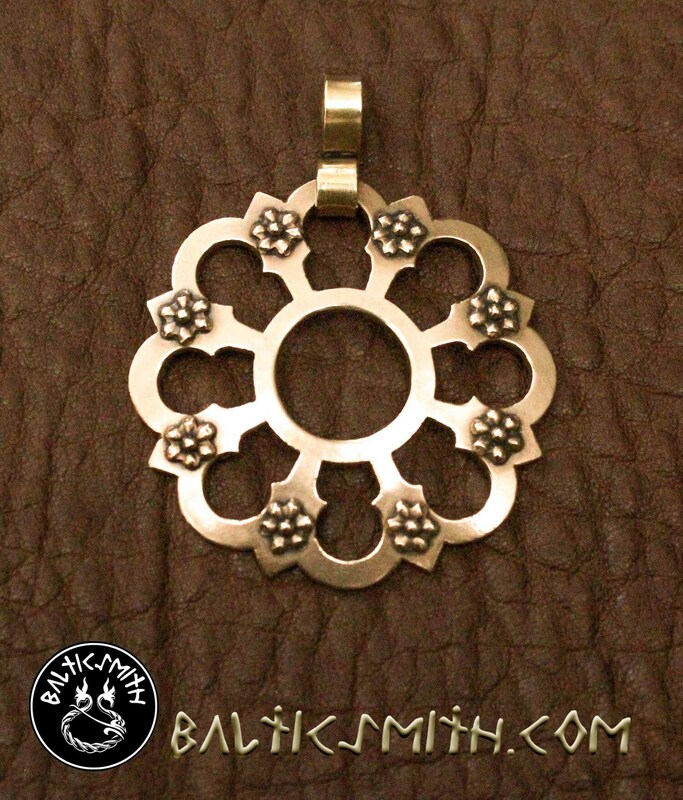 This pendant is also available in sterling silver. See photos for examples of chains, laces, cords and complementary pouches. Polishing cloth included. The pendant arrived eariler than promised, and was thoughtfully wrapped, and also included a cute little canvas sac and a polishing cloth. The pendant is extremely well made and is so pretty in person. The little details and embellishments are so lovely up close. The artist, Andris, has exceptional customer service. He replied to all of my messages promptly and answered all my questions to the utmost detail. He was very concerned that I would receive this order by the specified time, as it was purchased as a gift. He went above and beyond in making sure I was satisfied and my gift arrived promptly. I was really quite touched by his concern, and the beauty of the piece he hand-crafted so thoughtfully. I would purchase items from him again, in a heartbeat!